The superb Meadow Menu range from Rosewood is a delicious grain free food with only 100% natural and beneficial ingredients. 100% vegetarian, it contains no cereals, added sugar, GM or salt and is made from over 40 meadow grasses, plants, vegetable and beneficial seeds cold pressed to retain nutrients. 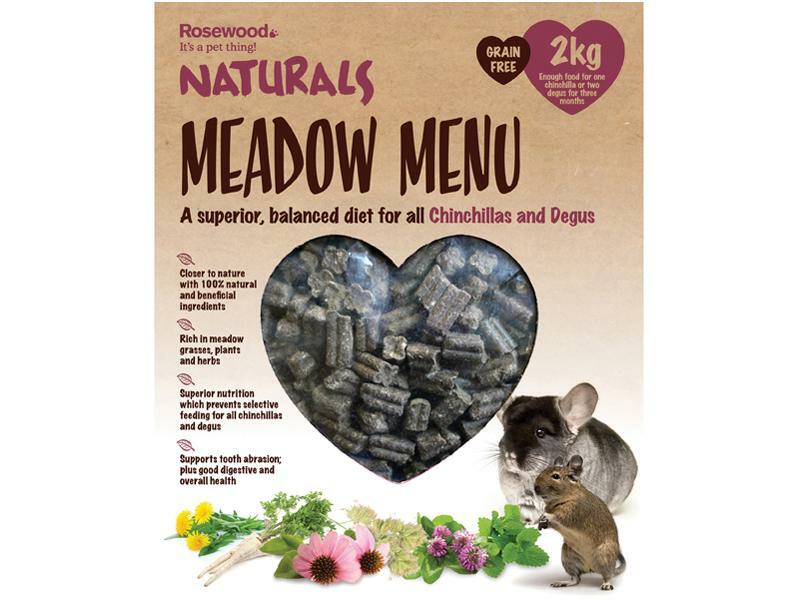 Designed to support tooth abrasion, the fibre rich Meadow Menu is great for digestion and overall health. A great product at great value for money. Available for Rabbits, Guinea Pigs and Chinchilla/Degu. 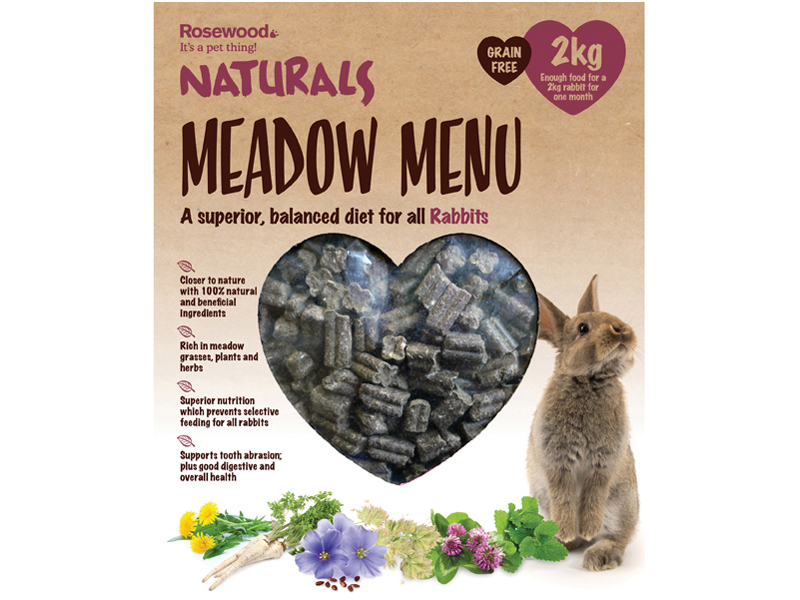 There are currently no questions for Rosewood Meadow Menu - be the first to ask one!